Have you ever stumbled across a piece of furniture and you weren’t 100% sure what to do with it, but it was totally speaking to you and you felt like you had to take a chance and grab it? I just finished a piece that fell straight into that category. When I first stumbled across this piece, it was in a barn and there was an industrial fan inside. I wasn’t interested in the fan so much as the cover itself. 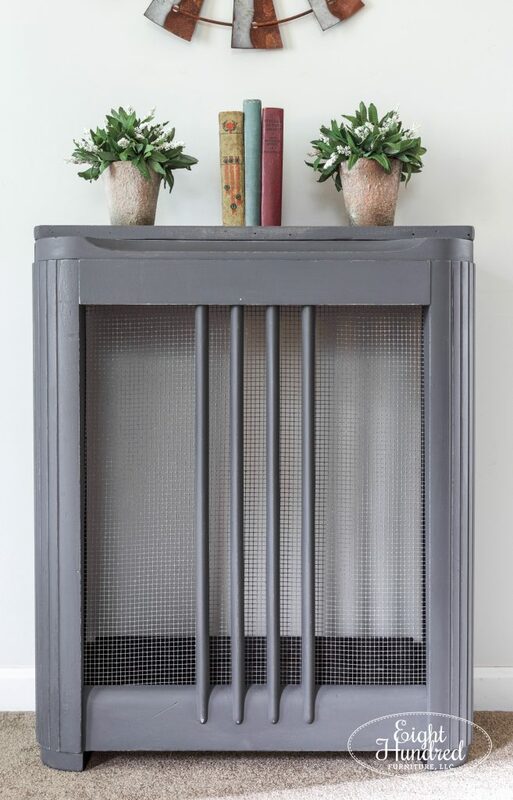 It had a fabulous retro vibe and I absolutely loved the grate. The seller helped me remove the fan (after a bit of a struggle) and it sat in my basement workshop for a few months because I wasn’t sure what I wanted to do with it. As I did some research on the company, I think I found the model that looks the closest to my piece. It’s the Philco 38-7. 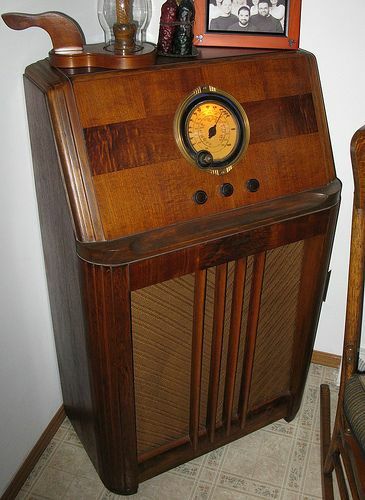 Now this example has a top where the radio body went, but imagine removing that part and placing a piece of wood on top. Couldn’t that look like mine? So what I suspect happened is that a very clever person removed all of the radio guts and put a fan inside. How cool is that? 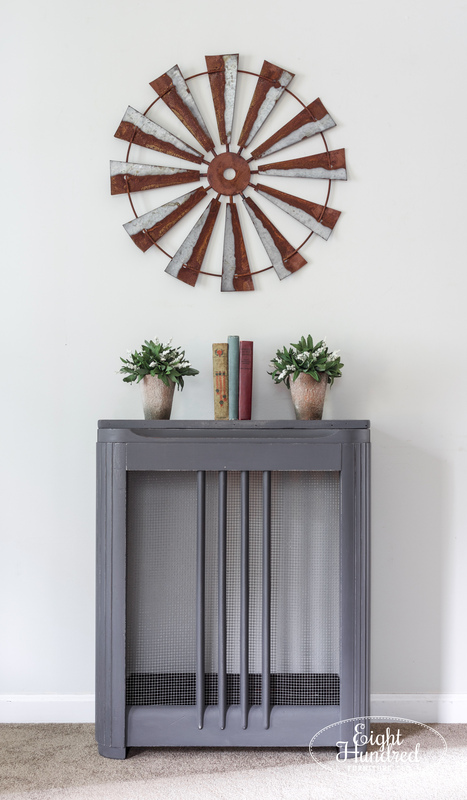 I painted the body of my Philco 38-7 in my latest gray blend – equal parts Trophy, Typewriter and Schloss by Miss Mustard Seed’s Milk Paint. 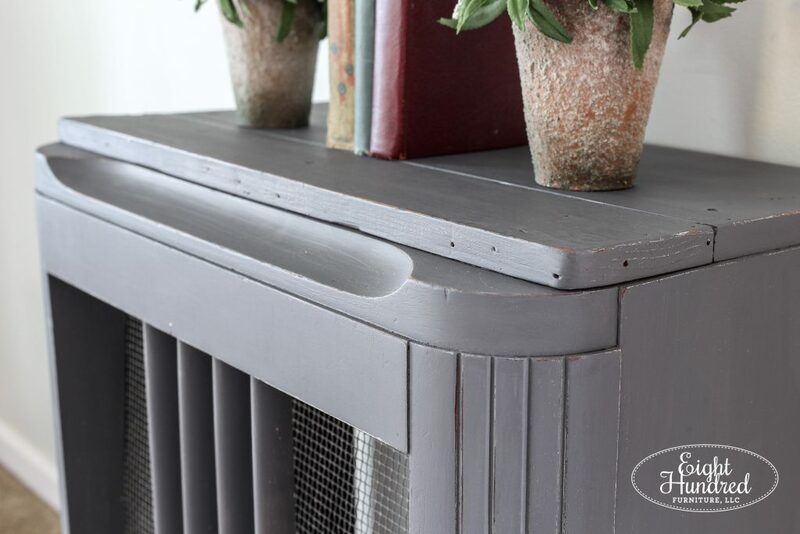 I painted the interior with General Finishes Chocolate Brown Milk Paint and gave the grate a good scrubbing. 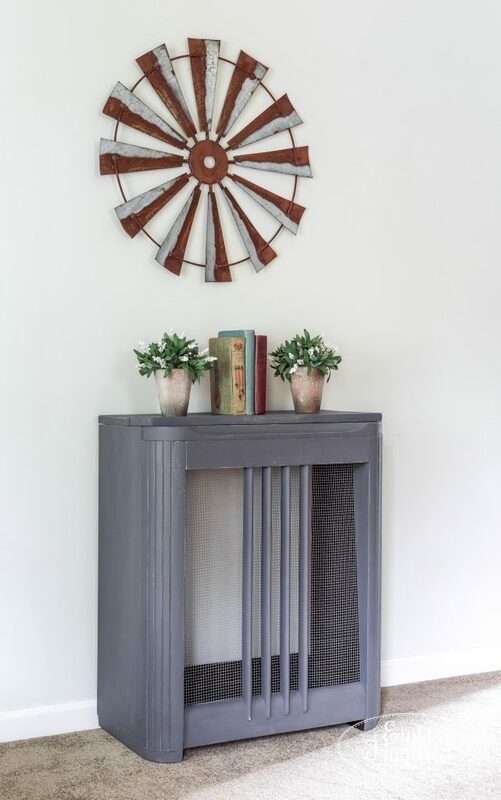 Isn’t it so fun to have a repurposed piece of the past? This piece is currently available for $175. 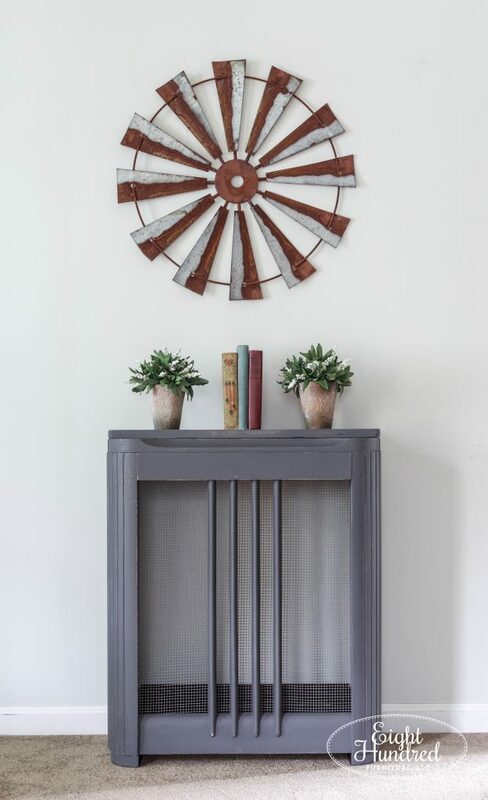 It would make a fun industrial entranceway piece if you put a mirror above it. Or, pop it into your powder room and place a vessel sink on top for your own custom vanity. I think you can be just a creative with this piece as its previous owner was!